This week our volunteer umpires were; Ian MacDonald (twice), Toby Arnold, Tom Selby, Lynsey Archer (twice), Geoff Gowers and Liz Holding. Without you we cannot play our matches. Cap'n Claudio reports "Warwick veterans draw at Hampton 4-4 .. The fourth time this season they have drawn 4-4.Goals from Langley, Sampson, Cardellino and Lycett". 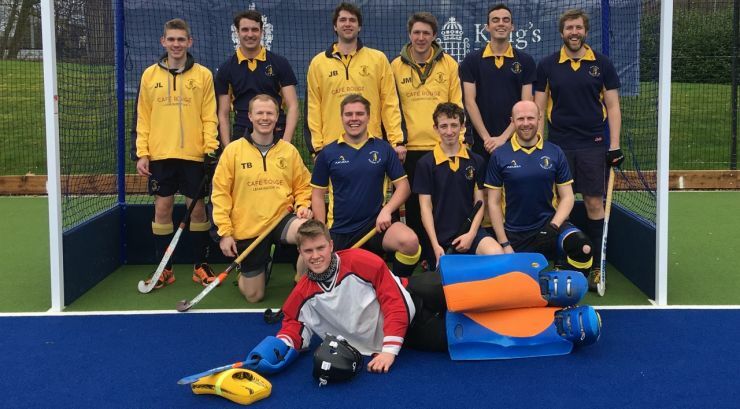 Seb writes "Men's 1s earn an emphatic 7-2 away win at top of table Barton. Excellent team performance to finish our season, 2 goals each from Mart & Ollie with other goals coming from Dave, Stevie & Ben!" Balfs sends in "Mens 2s suffer disappointing 5-1 loss against 3rd in league Worcester. All down to next week's game to finish in top half of the league." Chuffed Langers writes "Another win and a clean sheet. 2-0 away at Worcester, great goals from JK and James Alison, and results elsewhere mean we are promoted with a game to go! Get in. Great team performance and a nice 3s debut from Josh Cooper too". 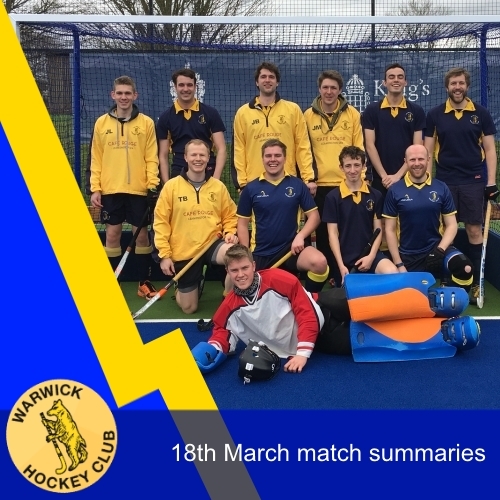 A slightly relieved Nick sends in "Despite a tough 2-1 defeat by Worcester the 4s' place in West Mids Prem is all but secured after favourable results elsewhere and barring a heavy defeat next week!" 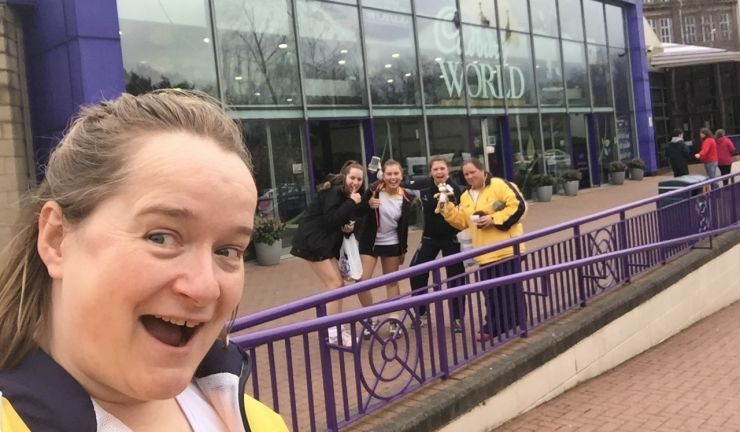 Happy Becky reports "Another excellent win for the ladies 1s who continue their fight against relegation. A 3-0 win against 4th place Stone vital in this battle. Two games to go and two wins needed. Come on ladies 1s we've got this!" Ange writes "Ladies 2's went down 6 0 to top of the table Edgbaston. But cheers themselves up bu heading to Cadburys' World shop for a chocolate feast." Thanks to Widge for the photo! Hannah writes "Another great effort from the Ladies 3s against Hampton in Arden 2s. We started strongly but Hampton got the first goal and heads dropped. Four more goals followed in quick succession taking it to 5-0 at half time. An uplifting half time talk and we were back on form. Hampton had several opportunities but couldn't get through our solid defence. A breakdown in Hampton communication and Warwick took advantage scoring 2 goals in the second half. Final score was 5-2 to Hampton, but felt like a win for the second half!" Manager Andy sends in "Ladies 4s finally got the result that their recent performances deserved, turning in an excellent second half display to come from 1-0 down to win 4-1 against Nuneaton". 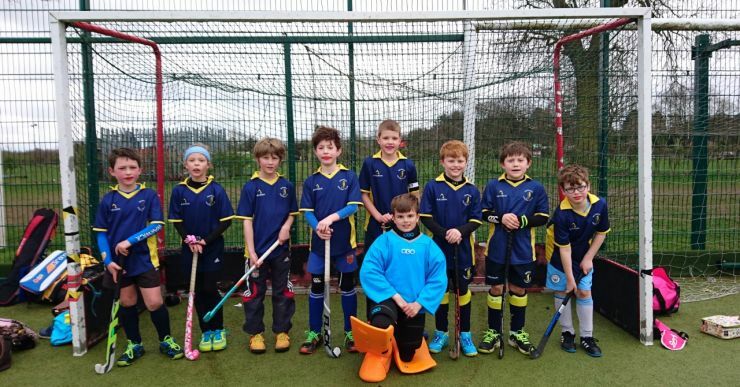 Our juniors have been having a great season and have won through their Warwickshire in2hockey finals to reach Midlands in2hockey. See Paul 'Wilbur' Williams's full report on the juniors page, here. 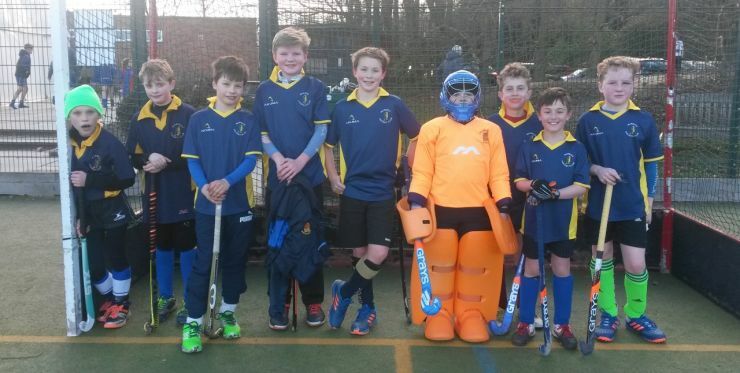 More excellent junior hockey as our U12s competed in the Warwickshire County finals coming an excellent 3rd place. See Liz Holding's full report on our Junior's page, here.